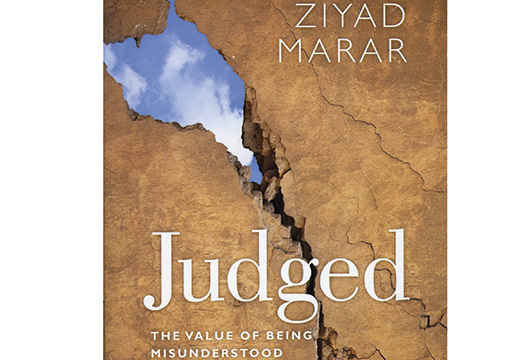 At first glance, Ziyad Marar’s Judged seems timely and apposite. Written by a man committed to making social science more relevant, it discusses the risks and advantages of exposing ourselves to negative judgements in the troll-infested ‘digital age’. The psychological principles involved in judgement are already well researched, and are outlined clearly. Our judgements are always influenced by cognitive and perceptual biases – sometimes positively (the halo effect) and sometimes negatively. Our reactions to judgements made about us are similarly influenced by biases, commonly leading to outright denial or self-justifications. This is all uncontentious stuff, and Marar’s first departure from psychological orthodoxy comes in chapter 4, ‘Breaking Free’. Marar posits a universal (but hopeless) human yearning to escape from judgement. Rejecting experimental psychology as too quantitative, Marar supports his argument with qualitative insights – using Philip Roth’s novel The Human Stain as an extended example of doomed escape. Developing this theme, Marar’s second and bolder proposition is that since we cannot avoid being judged, why not embrace judgement? Only by risking criticism, can we expose ourselves enough to receive good judgement. Marar’s positive spin on criticism (‘the value of being misunderstood’) probably has validity in the politely adversarial world of academic debate. From criticism we can learn, and do better next time. But this is a narrow and genteel view of negative judgement. For billions of ordinary people (barely mentioned in Judged) ‘being misunderstood’ means remorseless persecution – not one star on TripAdvisor. Judged reviews the well-established psychological truths clearly. It draws entertainingly from poetry, philosophy, psychoanalysis, popular culture and sociology. But its narrow take on judgement diminishes its real-world relevance; meanwhile, Marar’s overwhelming preference for discussing imaginary characters from literary fiction over real people (say, Christopher Jefferies) often makes Judged into ‘difficult jazz’ – a virtuoso performance, but one that neatly illustrates the irrelevance and inaccessibility in social science that Marar, quite rightly, wants to change. - Reviewed by Dr Chris Timms, who is an independent writer.